Where to Stay in Seoul? We stayed at G2 HOTEL Myeongdong (Address: 24, Supyo-ro, Myeongdong, Seoul, South Korea, 04555) and have absolutely no regrets. A newly built boutique hotel in a quiet and safe neighborhood, it is located 10 minutes away by foot from the Myeongdong area and Lines 2, 3, & 4 of the Subway. The rooms are clean and modern, the beds and bedding super comfy, and each room comes equipped with the necessary amenities (all from Innisfree). Plus it is not expensive at all! Where to Eat in Seoul? The very fact that there are over 100 different kinds of kimchi should tell you something about the pride Koreans have in their food. Korean cuisine has evolved over time because of social and political change, but it remains a major aspect of the national identity. And I happen to LOVE Korean food a lot. Here’s a list of some places you may want to check out; most of the restaurants are from research done prior to the trip, some came recommended by Korean friends, and some of them are gems we chanced upon. Sinseon Seolleongtang, Myeongdong branch. Be prepared to queue! Sinseon Seolleongtang specializes in seolleongtang (duh). Is made by simmering ox bones, intestines and shank for several hours until the broth becomes rich and creamy white. When eaten together with rice and other side dishes, it is SO GOOD (especially on a cold morning). Classic seolleongtang with rice — broth was rich and sweet. Migabon specializes in Korean traditional porridge (juk), a local delicacy. I am not much of a porridge fan because I often associate eating porridge with being sick. That said, I’ll make an exception for Migabon because their porridge is heavenly. Can’t get enough of my pumpkin porridge! Signature instagrammable wall at Mr. Holmes Bakehouse. Mr. Holmes Bakehouse Seoul is the first overseas outlet outside of San Francisco. If you ever make it there, a must-have is the CRUFFIN. A Cruffin is a cross between a croissant and a muffin — it has the flaky texture of a croissant and the flavour of a muffin. I ordered the Earl Grey Cruffin which was really good! It wasn’t overly sweet, the flakiness was just right, inner texture was fluffy and the earl grey filling was smooth and creamy. YUM. Hanwoori (located on the 5th floor of Shinsegae Department Store) was introduced to us by Min and Nam Young. I met the two of them in Seattle during my 6 months exchange and we have kept in contact since then. Dinner at Hanwoori with Min and Nam Young. Hanwoori has been specializing in shabu shabu since 1981. The restaurant uses only pure Korean beef fillet, which is delivered daily from a farm in Gwangju. Shabu shabu is a delightful form of comfort food — rich broth with fresh Korean beef, organic seasonal vegetables, hand-made soy bean curd, and springy noodles. O’sulloc Tea House is a green tea cafe in Seoul and can be considered a destination tea house to experience a touch of Korean tea culture. The cafe serves a variety of smoothies, hot drinks, cakes, and ice cream — most of which have green tea as the main ingredient. The cafe has a tea merchandise section. EVERYTHING green tea — matcha latte, matcha ice-cream, matcha roll, and matcha macaroon. Bossam is a pork dish in Korean cuisine whereby the pork belly is boiled in flavourful brine until it turns soft and scrumptious. Mr. Bossam (located in the Ewha area) serves one of the better Bossams in Seoul. You can choose one of three flavours for your Bossam platter — plain, garlic (sweet), or spring onion (spicy). Pork belly slices melted in my mouth. Hidden away from the busy streets of Myeongdong and run by a husband-wife team, Myeongdong Sundubu serves spicy soup with soft silky tofu. The stew comes in a clay pot together with rice cooked from a stone rice pot. According to the owner, he makes the tofu from scratch twice a day. No wonder the tofu is so soft and fluffy! Homemade pure tofu Sundubu jjigae with seafood. Jeonju Jungang Hoegwan (est. 1956) is a specialty restaurant featuring Jeonju Gopdol Bibimbap in a hot stone pot. The restaurant is popular not only in Korea but also in Japan; it has participated in World Food Expo held in Japan and has been introduced on various Japanese TV programs including NHK and Fuji TV. By far one of the best bibimbaps I’ve tasted. Jeonju Jungang Hoegwan’s bibimbap was by far one of the best I’ve had!! Another one, please! This yellow broth samgyetang (ginseng chicken soup) is made by boiling sanghwang mushroom (a medicinal variety which gives it its unique color and scent), along with a traditional herbal mix (including hemp and jujubes). After the broth is made, no more than 25 chickens (of a special breed) are boiled at the same time. A smaller batch allows the collagen of the chicken to thicken the broth. Featured on the Michelin Korea guide – original ginseng chicken soup. Tender chicken in thick creamy soup, topped with ginseng liquor. If you haven’t had Korean BBQ, you haven’t been to Seoul. Korean BBQ restaurants in Seoul are at a whole new level — think high-quality meat on charcoal grills with awesome ventilation systems (you won’t leave the restaurant smelling like grilled meat). The servers at Wangbijib are trained to grill the meat for you so all you have to do is sit back, relax, and look forward to your meat. We ordered a few servings of pork belly, which came bright red in colour with a good layer of fats. Exterior of the restaurant at Mungyeong. Composed of shaved ice and colourful ingredients, Bingsu is a very popular and elaborate dessert in Korea. At Sulbing, the ice is not only light and fluffy, but super fine too. It has a creamy texture and comes with loads of pretty toppings! Regardless of the flavour you order, it is to-die-for (especially in the heat of the afternoon!). And this marks the end of my Seoul food list. Early June this year, my parents came up to Jakarta and together, we went for a weekend getaway to Bali. I wanted to spend all of our three days in Ubud because I had already visited Seminyak and Nusa Dua in a previous Bali trip last year. Plus I’ve heard so much about Ubud — Bali’s artistic and traditional homeland. Weekend getaway with family in Ubud, Bali. We stayed at The Purist Villas, a tropical Villa Resort 5 minutes drive from the heart of Ubud. The resort is nestled into natural Balinese surroundings, which can be seen directly from the villas, restaurant and main pool. Designed with the concept of privacy, comfort, and modern architecture combined with traditional features, our stay there was PURE BLISS. Ubud is most well-known for her stunning and famed rice terraces and the Tegalalang Rice Terrace is a key highlight. Beautiful scenes of rice paddies involving traditional Balinese cooperative irrigation system. This exquisite terrace is located precisely on a hill bank, with a breathtaking valley panorama and coconut trees ornamenting the surroundings. We followed the locals off-road into the paddy fields and watched them harvest their crops. The Balinese people are a friendly and warmhearted bunch; they waved and smiled happily at us as we passed them by. We stopped at various points along to way to take pictures, breathe in fresh air, and simply soak in the natural surroundings. Do wear comfortable walking shoes as there is no proper foot path and weaving your way through the fields may involve navigating some wet steep slopes. Enjoying the view and good air. After our 2.5 hours ‘hike’, we were famished. Lunch was at Kepitu Restaurant, a hidden gem located in The Kayon Resort. The restaurant design features wood, bamboo and an Alang-Alang grass roof which seamlessly blends in with nature. From the floating sky roof deck, Kepitu Restaurant boasts a spectacular 180-degree view over the pool and jungle landscape. And a cascading waterfall completes this tropical paradise. A relaxing and tranquil dining experience. After our filling lunch, we were ready to walk off the calories at Campuhan Ridge Walk. A lovely walk with lots of nature to see. It was an unusually romantic short trek that took us through rice fields, quaint Indonesian huts and exquisitely designed villas. Butterflies and dogs accompanied us on the leisurely 2-3km stroll, which made it all the more enjoyable. If you’re tired, you can make a pit stop on your way back at Karsa Kafe. Make sure you stay sufficiently hydrated and apply layers of mozzie repellant! A great retreat from hectic city life. Next up, dinner at Bebek Tepi Sawah Restaurant — a dining experience where it is all about the Bebek (the duck). At the restaurant, you will find duck statues everywhere, ducks splashing around in the pond, and of course the delicious crispy duck on your plate. Situated at the corner of a picturesque green rice paddy field, you can gaze out from your private pavilion across the rows of little rice plants and listen to the gentle buzz of the surrounding nature. Dining with nature at its very best. All ready to conquer the ducks! We started off our second day in Ubud at the Sacred Monkey Forest Sanctuary. Sacred Monkey Forest Sanctuary, Ubud. You can enter the monkey forest through one of three gates: the main gate at the southern end of Monkey Forest Rd; from 100m further east near the car park; or from the southern side near Nyuh kuning. The sanctuary is inhabited by a band of over 600 grey-haired (and greedy!) long-tailed Balinese macaques who are a far cry from the innocent-looking doe-eyed monkeys on the brochures. We were super amused at how intelligent the monkeys were, especially on matters pertaining to bananas. I saw one monkey pull down a man’s shorts (!!!) to steal the banana that was tucked in his boxers and another reach into a lady’s pocket to retrieve a banana. Towering ancient trees at Money Forest. We had lunch at Swept Away Restaurant (located in Samaya Resort), by far one of the best restaurants of the entire trip — both in terms of ambiance and food. Took a buggy ride down to Swept Away Restaurant, Samaya Resort. A wooden deck at Swept Away is just inches from the mighty Ayung River – sit back, unwind and let your worries get swept away as you dine along the riverside surrounded by lush greenery. The meal started on a good note with complimentary bread that was super fluffy, soft and warm. Not to mention the amazing butter!!! 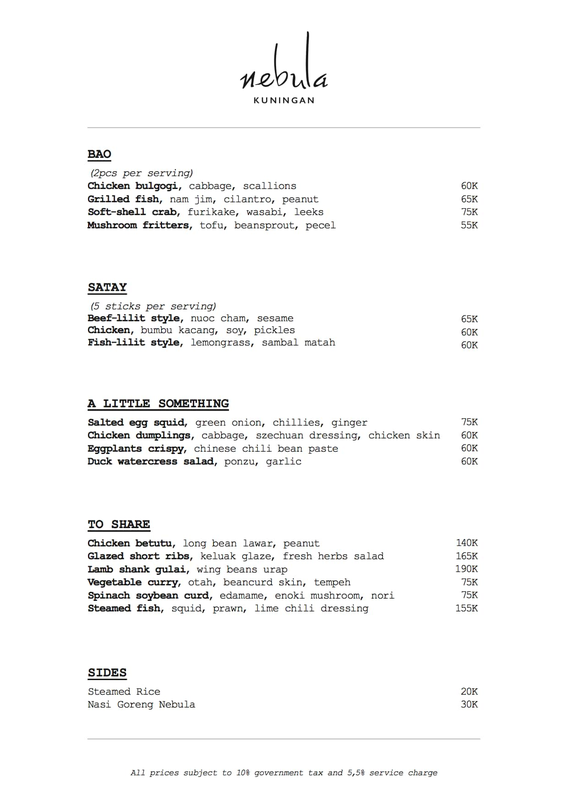 Swept Away serves a varied and eclectic menu with various menu options throughout the day: breakfast menu, light lunch menu, small bites menu serving Asian-style tapas, and two dinner menus (a la carte and degustation). All our mains and dishes for sharing were made to perfection and our tummies were really happy. After lunch, we went down to the riverside to take photos and bask in the cool sea breeze. Fun fact: The Ayung River is the longest river (75km!) on the Indonesian island of Bali. Wouldn’t you love waking up to this! After lunch, we headed to the Tegenungan Waterfall in Gianyar. From the viewing deck, you can see the majestic waterfall in the distance. However, for a closer sight, you would need to descend the stairs down the river. If you have knee problems or have many young children with you, I’d advise not going down. The stairs are steep and the climb back up is treacherous. Dad and mom decided not to follow us all the way down. That said, Tegenungan waterfall is a dazzlingly refreshing retreat in Ubud. The rich green surroundings and perfectly flowing fresh water make a beautiful sight for all. I saw many tourists take a dip in the river; some adventurous ones even jumped into the waterfall from a 15 meters height. If you’re thinking of swimming/frolicking in the river, there are shower facilities where you can change. Love the sounds and the power of pounding water. Kopi Luwak Tea stop before dinner. After all that climbing of stairs to see Tegenungan waterfall, we were in a dire need of some protein. Dinner was at Warung Ibu Oka, a place famous for its Babi Guling (Balinese-style whole roasted suckling pig). Giving us a warm welcome to Warung Ibu Oka. To make Babi Guling, the entire pig is stuffed with a combination of spices used in traditional Indonesian cooking including turmeric, coriander seeds, lemon grass and more. Usually, the Babi Guling is served up in big chunks in a rattan bowl with rice, fried intestines, spicy vegetables and Ibu Oka’s secret sauce. Unfortunately, by the time we got there around 7 p.m., most of the stuff (Babi Guling included) were sold out. We were left with limited choices and the dinner wasn’t fantastic. The only consolation was that Agent D and I made friends with many of the resident dogs of Ibu Oka. Dinner companions for the night. Time always flies when you’re holidaying and day 3 marked our last day in Ubud. SOBS. Before checking out of the villa, we took a dip in the pool. After all the sightseeing, day 3 was reserved specially for SHOPPING (much to Agent D’s dismay). We headed down to Ubud Traditional Art Market, locally referred to as ‘Pasar Seni Ubud’, to search for unique handcrafted souvenirs to take home with us. Ubud Traditional Art Market sells loads of stuff — silk scarves, batik, silver jewelry, paintings, woven bags, wooden house decor, and the list goes on. Most of the goods are made in the neighbouring villages of Pengosekan, Tegallalang, Payangan and Peliatan. Handmade dogs for sale, anyone? Section of the market that was burnt down by a huge fire in 2016. Oh and don’t forget to bargain at the market! As the place can get very crowded in the day, keep your bag in front of you at all times with the zipper closed. Wooden tray for remote controls/drinks. A family of 3 giraffes, carved by hand. Our last lunch in Ubud was at Bridges Bali, a lovely restaurant to close our trip. Bridges is situated at the end of the two Campuhan Bridges, and nestled right in the valley overlooking the River Wos. Hence the restaurant’s motto ‘Where worlds meet’. There are 7 distinctive levels where you can choose to dine on; whether you are settled and relaxed on the terraces surrounded by tranquil greenery or down by the riverside, I guarantee you an enjoyable meal. Take the spiral staircase up or down to the level of your choice. We chose one of the uppermost levels where we could gaze out across the picturesque valley as we dined. Interior of the restaurant with a backdrop of greenery. Showing us to our seat. Awatch as the outside world continues on the bridges above you. Their food was fantastic, every dish was cooked to perfection. Table flat lay of all the food we ordered. Along with the ambiance, lunch at Bridges Bali was indulgent and memorable dining at its best! An indulgent lunch against nature’s landscape. Hause Rooftop Kitchen & Bar is an oasis in the city, away from the bustling Jakarta traffic. Located on the topmost floor of MD Place Tower 2 (in Setiabudi), this cozy rooftop hideout makes a good place to relax and unwind. Hause Rooftop Kitchen & Bar. Bearing semblance to that of a private glass house complete with a backyard, Hause Rooftop has both indoor and outdoor seating. The indoor space oozes homey vibes and takes a collected approach, with souvenirs and artworks from the owner’s travels. The outdoor space is my favouritest part of the cafe. It is a really nice place to chill and feel the breeze in your hair coupled with a lovely sky view. Filled with the owner’s personal collection of hanging air plants, herbs and flower plants, it feels like you’re dining in a private garden of a friend’s. #1. Hause Rooftop handcrafts food & drinks using herbs picked from their very own backyard. #2. The restaurant is pet-friendly so you can laze under the sun with your fur friends. Perfect for you and your fur kids. #3. Hause Rooftop opens early and closes late. They open at 9 a.m. everyday so you can get your morning coffee fix. On Sunday – Thursday, they close at 12 a.m.; on Friday – Saturday, they close at 2.00 a.m.. A great place to hangout and have late night drinks with friends! #4. There is live music on certain nights. So check before going down! Hause Rooftop is as much a restaurant as it is a bar. Their Hausemade menu and drinks are all freshly made with love. 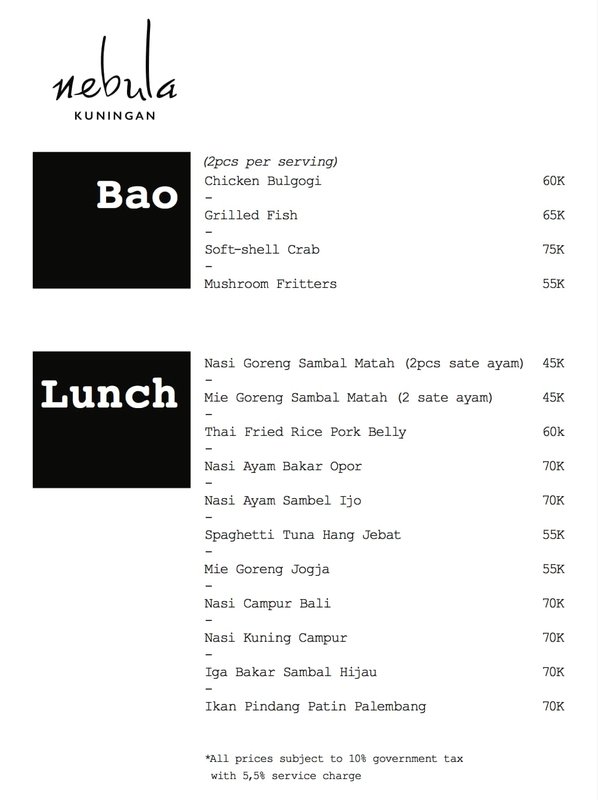 The food menu offers both Western and Indonesian choices along with vegetarian/organic options. For example, they have organic burgers by Burgreens. Agent D got himself the ‘Curry Katsu Burger’ (IDR 115k) while I ordered a ‘Hausemade pasta – Linguine Carbonara with Salmon’ (IDR 100k). Curry Katsu Burger (IDR 115k). Consists of fried chicken breast, curry mayo, purple cabbage, hausemade bun served with fries & mixed garden salad. Linguine Carbonara with Salmon (IDR 100k). Consists of linguine carbonara, salmon, diced red onion in light cream sauce and egg yolk served with orange zest. Classic cocktails aside, they have a pretty good list of Hause-invented cocktails which are inspired from their garden and hand-crafted to perfection. For instance, the fresh and light Backyard (white rum, ginger liqueur, lemon juice, clove syrup with lemongrass and scented basil), the milky Hause Sweet Hause (vanilla flavoured vodka, Frangelico, Baileys, fresh milk, and caramel syrup biscotti), the light and fresh Flower Lady (Hause Gin, Bols elderflower, fresh lemon, lavender bitter and rosa aroma), etc. Non-alcoholic options are extensive too with freshly squeezed juices, chilled juices, artisan coffee, specialty tea, hand-crafted Vitamines (something like mocktails), Kombucha Sangria, etc. Agent D went for the ‘Kombucha Sangria’ (IDR 75k) which is rather pricey for Jakarta standards, in my opinion. According to Hause, their kombucha is made exclusively from fresh local fruits & vegetable juice that cleanses, heals, energizes and detoxifies one’s body. Sounds too good to be true eh? I love all things chai and ordered the ‘Chai Latte’ (IDR 45k), a cinnamon flavored milk tea served with palm sugar. Chai latte made my morning! Adding to the list of cafes in Kunignan. ENJOY!